The incidence and rates of sudden cardiac arrests are high in India and survival rates low. About 70% of cardiac arrest cases are due to arteries filled. In the last decade, the number of cases of cardiac arrest has suddenly increased. Coming to the cardiac arrest without any warning makes it even more dangerous. By knowing about the cardiac arrest, we can save ourselves from this accident. Let’s know the difference between cardiac arrest, heart attack and heart failure. What is a cardiac arrest? The cardiac arrest is caused by the sudden interruption in the heartbeat. In most cases it is murderous. Due to the change in the heart beat thrust, our heart is not able to pump blood properly. As soon as the blood pump stops, the blood does not reach the brain and other parts of the body, so that the person reads the struggle for breath and becomes unresponsive in minutes. This is a very serious condition and the immediate CPR can help in reviving the patient. Heart attack or myocardial infarction This is a condition in which blood flowing in one part of the heart is blocked. This is a circulation problem and is due to the closed arteries or when the blood clot suddenly blocks the arteries. This causes the supply of inadequate blood to that particular part of the heart, which can damage the cells of that part of the heart permanently. It does not stop heart beat but affects the heart and also affects efficient functioning. To improve the circulation process, it should be fully treated at the time of interruption in arteries. In many cases, the heart attack can be a result of sudden, rapid and electroplating, resulting in cardiac arrest. There are several reasons for cardiac arrest and heart attack is one of them. However, despite being connected, both conditions are very different. Heart failure or congestive cardiac failure It is a condition in which the body is unable to pump enough amount of blood for the body. It is usually related to weak heart muscles which are caused by frequent heart attacks or other cardiovascular disorders. 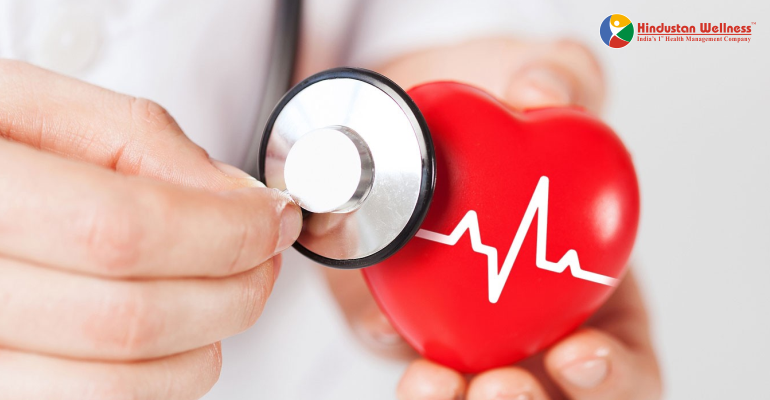 Risk factors of heart failure include: Heart ConditionsBack Heart AttackCardiomyopathyDiabetesThyroid ProblemsAnemicLung disorders This is a serious condition but with proper and timely treatment with the health of Heart Health Checkup, one can survive and lead a normal life. Heart failure is different from the cardiac arrest because it does not stop the heart-beat but due to a weak heart, the amount of blood pump is insufficient. When sudden cardiac arrest occurs, reduced blood flow to your brain causes unconsciousness. If your heart rhythm doesn’t rapidly return to normal, brain damage occurs and death results. Survivors of cardiac arrest might show signs of brain damage. Reduce your risk of sudden cardiac arrest by getting regular health checkups, being screened for heart disease and living a heart-healthy lifestyle.